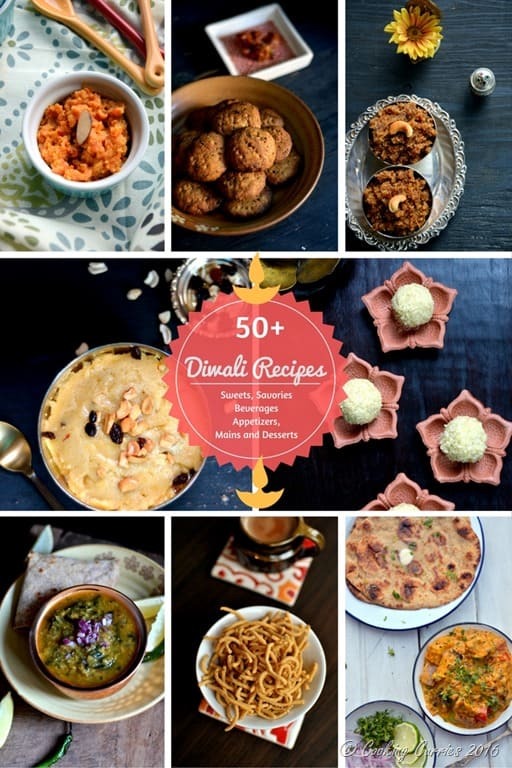 An exhaustive collection of 50+ Diwali recipes from sweets to savories to appetizers to mains to desserts and beverages. Everything you need and more to fill your bellies and others’ for this festive season! I cherish and celebrate all festivals. The memories these have built for me in my lifetime so far, surpasses anything else that makes me so happy. I have always loved all festivals and holidays and have only been adding more to the list as the years of my life in this country has increased. Here is a pretty exhaustive collection of all possible recipes you will need to make you mithais / sweets for Diwali or to have a fabulous Diwali dinner party! I hope you enjoy making and relishing these as much as I enjoyed putting it together for you.